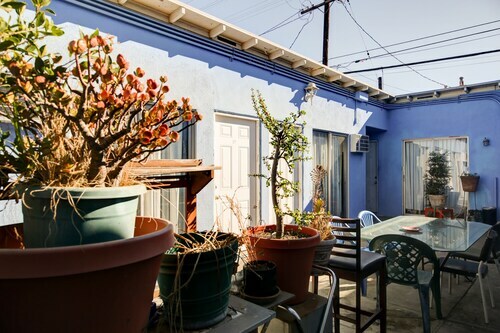 Situated near the boardwalk, this motel is within 1 mi (2 km) of Main Street Santa Monica and Santa Monica College. 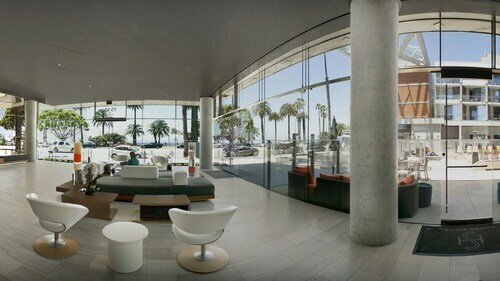 Third Street Promenade and Santa Monica Beach are also within 2 mi (3 km). 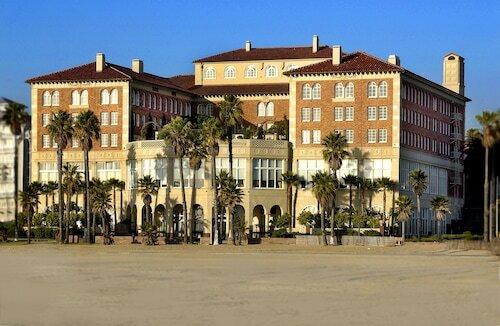 Located in Ocean Park, this hotel is within a 5-minute walk of Main Street Santa Monica and Santa Monica Beach. Santa Monica Pier and Venice Beach are also within 15 minutes. 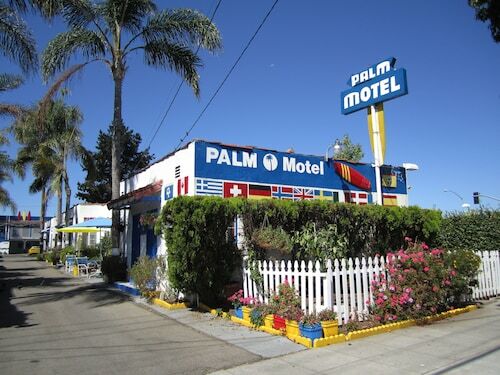 Situated near the beach, this motel is within 3 mi (5 km) of Santa Monica College, Santa Monica Beach, and Venice Beach. Venice Beach Boardwalk and Third Street Promenade are also within 3 mi (5 km). 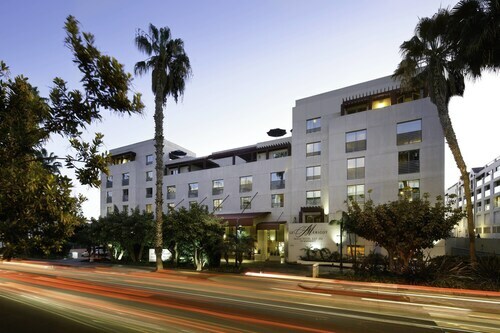 Situated in Santa Monica, this hotel is within a 15-minute walk of Third Street Promenade and Santa Monica Place. Santa Monica Beach and Santa Monica Pier are also within 1 mi (2 km). 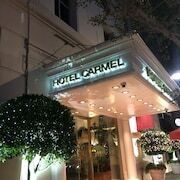 Located in the heart of Santa Monica, this hotel is within a 15-minute walk of Third Street Promenade and Santa Monica Place. Santa Monica Pier and Venice Beach are also within 3 mi (5 km). Pet owners shouldn't miss Santa Monica, a city known for its shopping, and sights like Santa Monica Pier and Venice Beach. 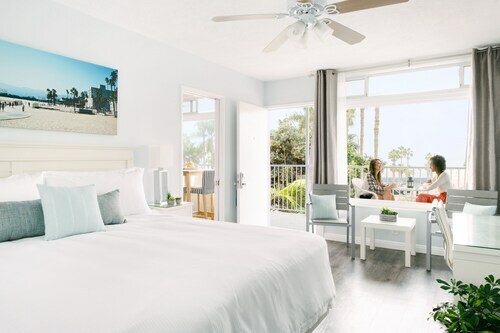 You can choose from Travelocity's 21 pet-friendly hotels and accommodations in Santa Monica and bring your doggy along! Enjoy the fresh air at International Chess Park. 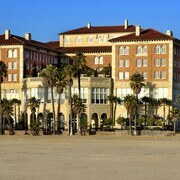 Other things to see include Santa Monica History Museum, Santa Monica Place, and Third Street Promenade. Need a pet store? Try Tuesday Morning, The Dog Bakery, or My Pet Naturally. For vet care, Veterinary Cancer Group of Los Angeles, PetSmart, and City of Angels Veterinary Specialty Center are located in the area. 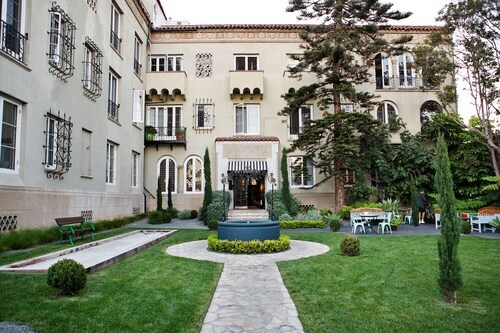 Cats and dogs are allowed for a fee at this 4-star hotel, although restrictions apply. 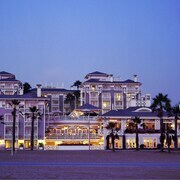 Guests appreciate its great beach location and spacious rooms. Cats and dogs are allowed for a fee at this 2-star hotel. 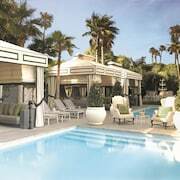 Guests appreciate the helpful staff and overall property condition. 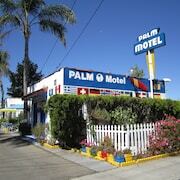 Pets are allowed for a fee at this 1-star motel, although restrictions apply. 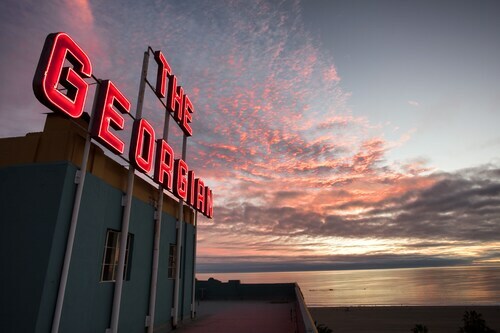 The hotel was beautiful, it had amazing views of the ocean and the pier, the pool was heated and felt fantastic, and there was fireplaces on the deck to watch the pier. Staff were all great, th only downside was the small fridge filled with amenities, there was no room to put your own water or food. location was good. Condition was good. Rooms Comfortable. Didn't like being charged an additional 45/day to park. Think the price was excessive since I was staying there already. I really enjoyed my stay. Bell hop was excellent and well as the servers in the Fig restaurant. I ate there for breakfast Saturday and Sunday and it was very good. 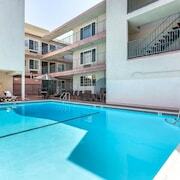 Great location walking distance from the beach. I was only in town for a weekend but we’ll worth it.